Elkagorasa the Casual: I have legs! i346 with stam, int, mastery and crit! sweet! I came into this dungeon when they lost one of their DPS. Looked like a guild run as they were all from, well the same server and guild. The next series of fights to follow Cookie, evolved around Vanessa VanCleef (only in Heroic). She is a rogue, who poison's you. You then experience a series of nightmares and have to fight that nightmare's meta-boss. I died standing in the fire. Then I died standing in the fire again on the boat. Note the rope is a vehicle, grab it at the bottom. 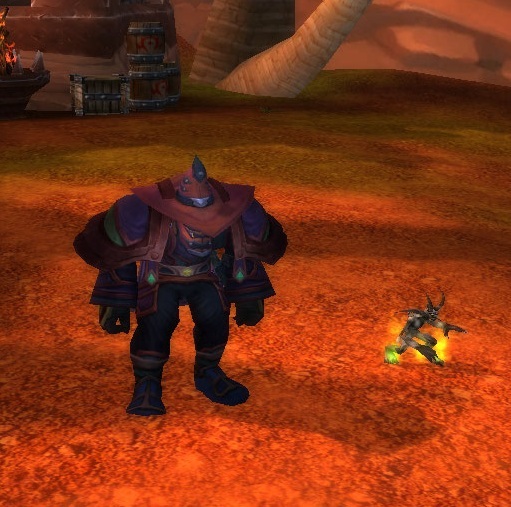 Edit: Not long before this was posted, I ran a heroic Blackrock and picked up the most excellent BOP chest. Now I am back into a man-skirt again.